Tempest Strings met for the first time in 2014 on the shores of Vanier Park in Vancouver, British Columbia. 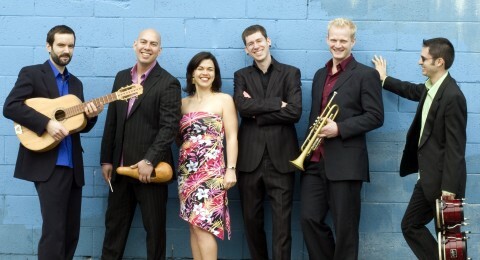 Hired as the quartet-in-residence for the acclaimed Shakespeare Festival Bard on the Beach, they embarked on a shared journey of bringing to life Alessandro Juliani’s score for the festival’s summer production of The Tempest. Praised for their inspired and seamless integration of music into the play, they performed for over 30,000 people and to critical acclaim. 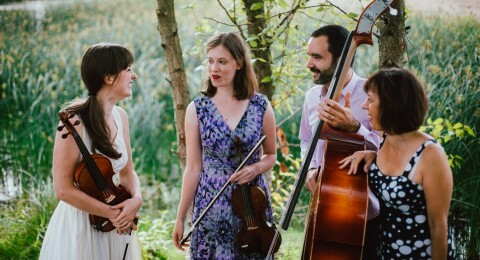 Inspired by the music and wedding magic of the summer, Tempest Strings now bring their gorgeous sound and dynamism to concerts, weddings and events around the Vancouver/Whistler area. Program options include celtic, modern and classical music. 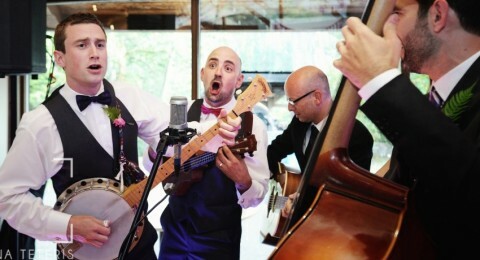 Uke Party is long-time musical collaborators and brothers Mark and Ian Beaty. They perform sing-along music for kids’ birthdays and community events. They like singing the classics: Raffi, Fred Penner, Woody Guthrie, and other songs of a participatory nature. 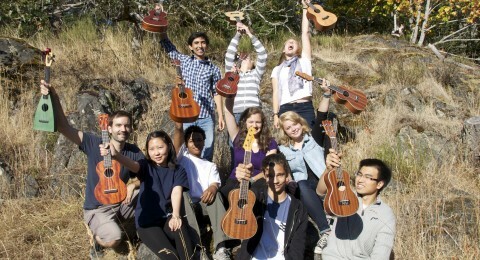 Mark also offers individual and group ukulele lessons (as shown on the left). 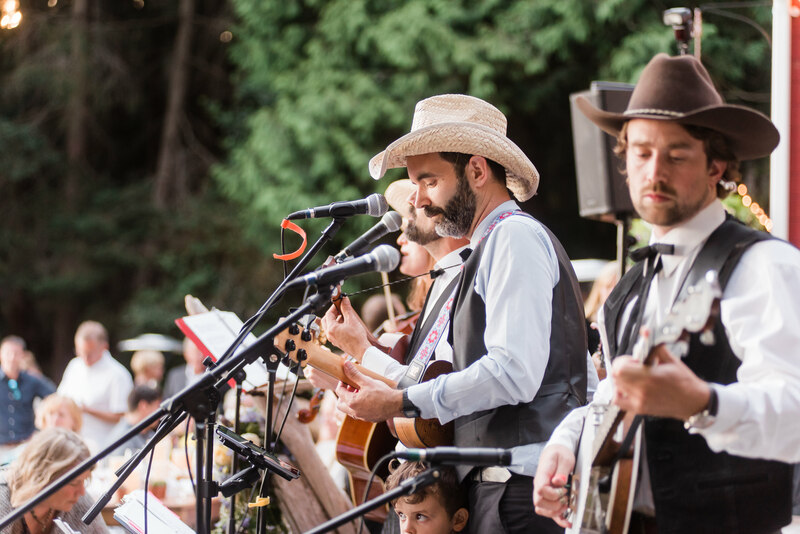 Buckaroos started as a musical front porch gathering in Vancouver’s oldest neighbourhood, Strathcona. With a roster featuring banjo, guitar, upright bass, ukulele, and sweet lonesome harmonies, Buckaroos liven up all kinds of events. From country and old-timey classics of Patsy Cline, Elvis Presley and Merle Haggard to contemporary players Gillian Welch and Old Crow Medicine Show, the musicians of the Buckaroos bring the party with them. Welcome to Bring The Music—virtual home of Vancouver musician and organizer Mark Beaty and hub for music projects and events happening around this great town. 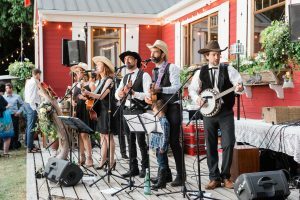 Find out about upcoming concerts and community events, inquire about live music for your event, or find out about music workshops and lessons. Que viva la música en viva! Do You Wish to Give Us Event Details?